Little Fishes is run by Dotty Harris. Dotty is a sport’s enthusiast and parent to 3 young children who has a been teaching swimming for more than 17 years. Parent and baby lessons are run to carefully devised and progressive schemes of work. The ethos behind our programme is to develop confidence and life saving skills from young age whilst bonding infant and parent within a safe, fun and friendly environment. The programme is split into 8 Levels. 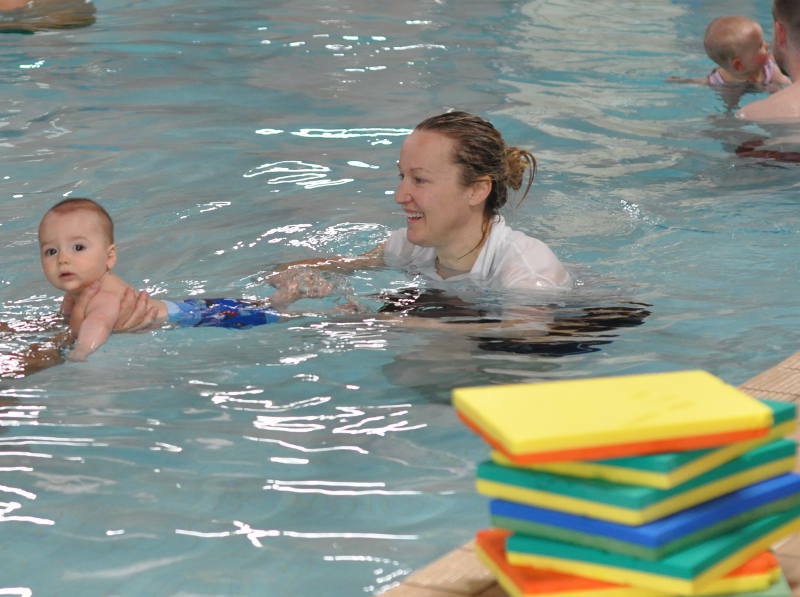 In LEVEL ONE you will learn techniques of teaching your baby to swim short distances underwater holding breath, float on her/his back with your support (some babies will float for a short time without any support), swim to the side and hold on whilst keeping the head above the surface – which is an important survival skill. Level One is for babies from 3 months to 14 months old. In subsequent levels you will learn how to teach your baby to swim on top of the water, jump off the side, turn around and swim back to the side as well as many other skills including fun activities such as diving underwater together. Professional underwater photography is offered too. Sessions are aimed at toddlers from 3 years old and aim to build the foundation for a lifelong love of water. Water skills and swimming aids are introduced through structured play. Classes are suitable for children who have progressed through Little Fishes Parent & Baby Swim programme. Children without previous swimming experience are welcome too. Older children who do not need their parent to accompany them in the water will learn core swimming techniques and survival skills. The levels available are: Beginner, Improver, Intermediate and Advanced.